the deal is “so big that people should pay more for both stocks”. “We’re excited to work with Salesforce and that its industry-leading CRM will embrace native iOS and deliver exclusive new features on iPhone and iPad,” Apple CEO Tim Cook says. As businesses strive to understand the consumer journey and path to attribution, CRM has become increasingly important in managing relationships and interactions with customers and potential customers. While Salesforce has customers using its CRM platform from sales, customer service, business development and recruiting departments, marketing, also encompassing its Marketing Cloud, has become a key revenue driver for the business. The move follows Apple’s acquisition of Shazam this week and is one many moves from Salesforce over the last few years which sees it bolster is tech stack. Last week Salesforce rival Adobe entered into a definitive agreement to acquire B2B cloud-based marketing platform Marketo for $US4.75 billion. As part of the deal, the business will be integrated into the Adobe Experience Cloud, which currently services B2C clients. In addition to the Apple and AWS deals, during Dreamforce, which pulled in more than 170,000 registered users and 10 million online viewers, Salesforce Customer 360, a new platform service that manages customer data across clouds via a click-based user interface launched. Salesforce says companies will be able to create a complete, real-time, contextually relevant profile for every single customer with Customer 360 ID. Customer 360 aims to help companies evolve beyond delivering fragmented experiences. Einstein Voice was also rolled out, allowing any user to talk to Salesforce. 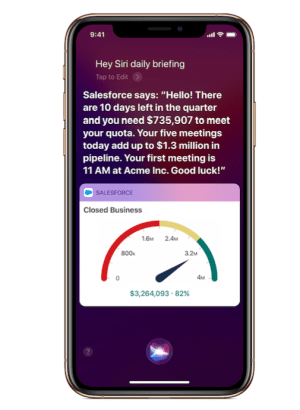 With Einstein Voice Assistant, people can get personalised daily briefings and talk to Salesforce via the Salesforce mobile app or the smart speaker of their choice. 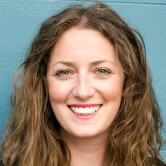 Einstein Voice Bots also let admins easily build customer facing bots connected to Salesforce with clicks, not code, creating whole new ways for companies to interact with their customers. In its quest to be the kingpin in customer relationship management (CRM), Salesforce has inked a deal with tech giant Apple that sees it ramp up its customer experience (CX) and app offerings. Ahead of Salesforce’s annual Dreamforce conference in San Francisco, the pair have unveiled what they call a “new strategic partnership” that brings CRM and iOS together. Working with Apple, the tie-up sees Salesforce redesign its app with new features on iOS. The companies will offer tools and resources for Salesforce developers to build their own native apps with a new Salesforce Mobile SDK for iOS, and a new iOS App Development course on Trailhead, Salesforce's free, web-based learning platform. Chairman and co-CEO of Salesforce Marc Benioff describes the move as “defining a new era of mobile innovation”, as well as empowering millions of people with greater skills they’ll need for the jobs of the future. By redesigning the Salesforce mobile app this gives its customers new experiences exclusively on iOS, such as Siri Shortcuts, Face ID and business chat. It also enables businesses and developers to build and deploy apps for iPhone and iPad on the Salesforce Lightning Platform. Despite Apple having its fingers in many pies, the enterprise market has not been one of them. With Salesforce customers building platform and enterprise apps for iPhone/iPad, this will only serve to boost Apple device adoption. According to stock market expert CNBC's Jim Cramer, the deal is “so big that people should pay more for both stocks”.